Composer, producer, guitarist Tommy Denander needs little introduction to fans of melodic rock. Mr. Denander's accomplishments in song, film, television are long and legendary. Denander returns with his second Spin Gallery project, Embrace, with vocalist Kristoffer Lagerstrom. Again, this work is another showcase of Denander's exceptional musical and song composition skills. There are no wasted notes or moments here as he expertly envelopes all the magic and grandeur of 80's AOR and melodic rock in every song. From the subtleties of the ballad-like Blood in My Veins to the radio-friendly pop atmosphere of Just a Momentary Why (with vocalist Robin Beck) to the arena rock meets prog of the title track, Embrace is an aural feast of smooth versatility and ambitious creativity. Lagerstrom is phenomenal showing great range and effortless delivery. Whether alone, as on Stone by Stone or Everything Fades, or in duet with Robin Beck, on the aforementioned Just a Momentary Why or with Dan Reed on You Do the Things You Do, Lagerstrom is pure and harmonious. Denander, of course, is no slouch himself. Besides his creative song craftsmanship throughout, he offer some slick and fiery solos as on Embrace, Without Love, or You Do The Things You Do. It's all very intriguing, yet somehow out of place in 2010. Embrace doesn't have the hard-crunching riffs or the obnoxious angst of modern rock. This is Toto, not Nickelback. But, hey, that's hardly a bad thing. But it may not be gritty and loud enough for those looking for straight rock. 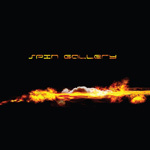 However, for aficionados of melodic rock, with grand arrangements and musicianship, Denander and Spin Gallery' s Embrace is pure entertaining magic. For aficionados of melodic rock, with grand arrangements and musicianship, Denander and Spin Gallery' s Embrace is pure entertaining magic.